Deputies searched a Valinda neighborhood for a group of three carjacking suspects on Wednesday, authorities said. The manhunt began with a report of a carjacking just before 2 p.m. at Fairgrove and Aileron avenues in the unincorporated county area, Los Angeles County Sheriff’s Department Sgt. David Cortinas said. Three men took a man’s car by force, the sergeant said. No injuries were reported. Deputies quickly responded and spotted the just-stolen car still within the same neighborhood, Cortinas said. The driver briefly led deputies on a chase before the suspects abandoned the Nissan Altima in the 1200 block of Bannon Avenue. Officials cordoned off the neighborhood as they searched for the suspects, Cortinas said. Deputies helped staff at nearby Fairgrove Academy, an elementary and middle school, to conduct a “controlled release” of students, Capt. Tim Murakami said via Twitter. The suspects ultimately eluded capture, Cortinas said. Investigators were looking into the possibility they may have fled the area in a black Dodge Charger. Authorities called off the search shortly after 5 p.m.
A jury convicted a A Valinda man of drunken driving and leading West Covina police on a pursuit that ended in a crash that left 10 people hurt, officials said. The Pomona jury deliberated for less than three hours before finding Robert Anthony Lopez, 27, guilty of fleeing police in a motor vehicle resulting in serious bodily injury, driving under the influence of alcohol causing injury within 10 years of a previous DUI offense and driving with a blood-alcohol level above .08 percent causing injury within 10 years of a previous DUI offense, Los Angeles County District Attorney’s Office spokeswoman Sarah Ardalani said in an email. He pleaded “no contest” earlier to driving on a suspended or revoked license following a previous offense. Nine innocent bystanders, as well as Lopez himself, suffered injuries in the July 18, 2016, crash at Francisquito and Walnut avenues, in the unincorporated county area of Valinda. He faces up to 24 years behind bars when he returns to the Pomona Branch of Los Angeles County Superior Court, Ardalani said. The chase started in West Covina, where police tried to pull Lopez over in an Acura for speeding and blowing through a stop sign, Ardalani said in a written statement. A woman inside the Nissan and her to young daughters were hurt, along with a drive and five passengers inside the Ford, California Highway Patrol officials said. Firefighters had to free freed Lopez from his mangled car, officials said. According to prosecutors, Lopez was previously convicted of reckless driving and driving with a blood-alcohol level above .08 percent in 2015. MONROVIA >> A Valinda man who strangled his girlfriend, sent pictures of her body along with an apologetic message to his mother, and left her body in an SUV parked in her parents’ backyard in Monrovia received a prison sentence of 46 years to life on Thursday, authorities said. A jury convicted Joel Velazquez, 52, of voluntary manslaughter in May for the Sept. 21, 2014, death of 46-year-old Alice Medina-Kaplan, according to Los Angeles County District Attorney’s Office spokeswoman Sarah Ardalani. He had initially been charged with murder. Prosecutors alleged that Velazquez strangled the victim, Ardalani said in a written statement. 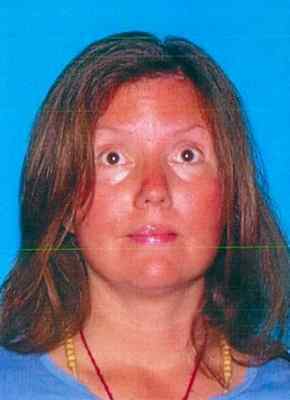 “Her body was later discovered inside an SUV parked behind a house owned by her parents on the 200 block of Mauna Loa Drive in Monrovia,” she said. Shortly after the killing, Velasquez sent text messages to his mother, including photograph of her daughter’s body, along with an apology. Medina-Kaplan reportedly suffered from schizophrenia. She had been living with Velazquez in the SUV when she was killed. Velasquez has a prior conviction for making criminal threats in 2011, officials said. * *NOTE: This story has been corrected to reflect that the killer sent pictures of the victim’s body to his own mother. VALINDA >> A sheriff’s SWAT team and crisis negotiators responded to a Valinda neighborhood after a man who was believed to be armed with a gun holed-up inside home late Friday, officials said. 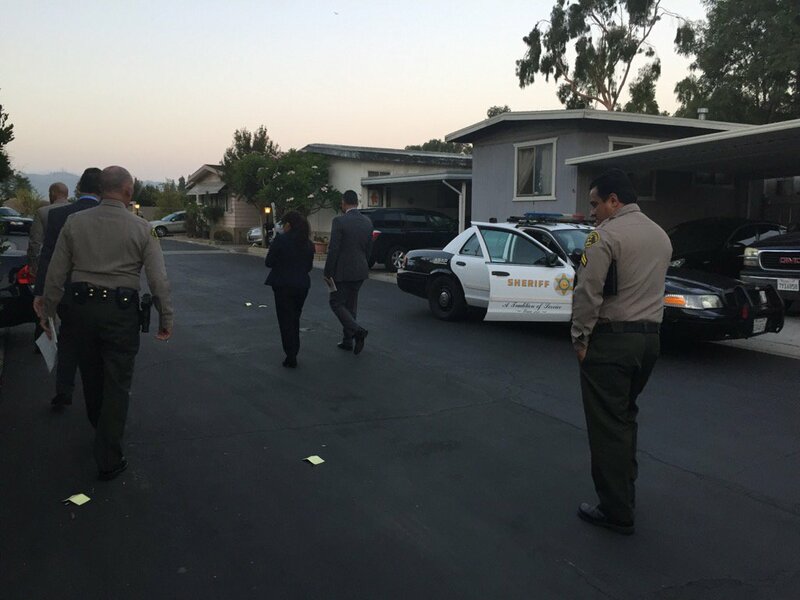 The incident began shortly about 5 p.m. with a report of a domestic incident involving criminal threats and a gun at a house in the 800 block of Lacon Avenue, Los Angeles County sheriff’s officials said. Shot were believed to have been fired inside the home, though no injuries were reported, Sgt. Rico Sandoval said. Several other occupants of the home came out when deputies arrived, but the suspect refused, he said. Deputies summoned a SWAT team and crisis negotiators to take over the standoff. A personal drone being flown in the area interfered with the sheriff’s department helicopter during the incident, according to Capt. Tim Murakami. The drone pilot would have gotten off with a warning, but was arrested after deputies discovered he had an outstanding arrest warrant, the captain said. The suspect surrendered after midnight, officials said. No further details were available. VALINDA >> A gunman with tattooed shins robbed a group of teenagers of their cell phones at gunpoint in a residential neighborhood in Valinda on Sunday afternoon, officials said. 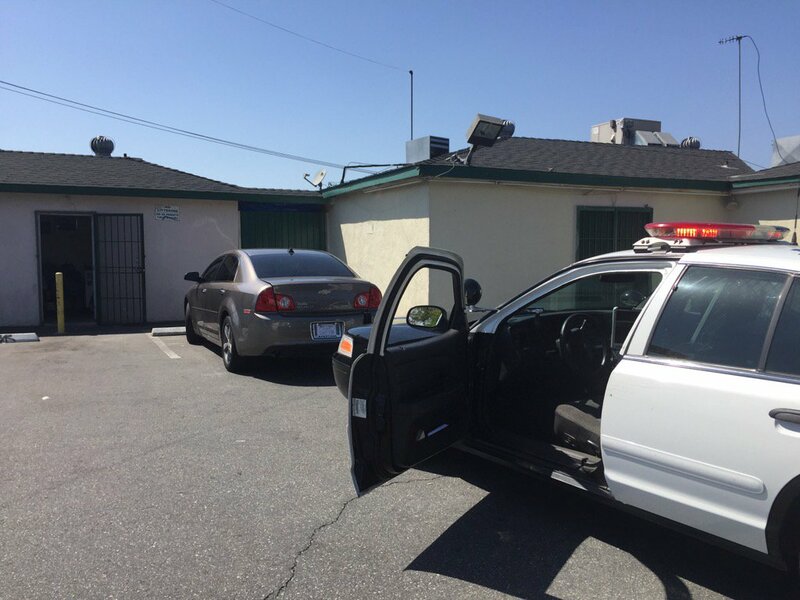 The crime took place shortly after 1 p.m. as three boys in their late teens were walking in the area of Caldwell Street and Echelon Avenue in the unincorporated county area, Los Angeles County sheriff’s Sgt. Gina Eguia said. A robber approached the young men, brandished a black-and-green semi-automatic handgun and demanded their cell phones, the sergeant said. Two of the boys handed over their phones, and the robber was last seen running east along Caldwell Avenue, she said. No injuries were reported. Officials described the robber as a Latino man of about 20 years old, of thin build, with brown hair and brown eyes and tattoos on both of his shins, Eguia said. He wore a gray shirt and fray basketball shorts. LOS ANGELES >> A former gang member from Baldwin Park received a 24-year prison sentence this week for his role in a federal drug trafficking conspiracy in which he admitted personally executing another gang member from Valinda who failed to pay “taxes,” or extortion payments, to the Mexican Mafia, authorities announced Thursday. Eddie “Criminal” Garcia, a former 18th Street gang member with ties to Baldwin Park and El Sereno, pleaded guilty last year in federal court in Los Angeles to a charge of participating in a conspiracy to distribute methamphetamine as part of a federal case targeting the Mexican Mafia-controlled Puente 13 street gang. As part of his plea agreement, Garcia admitted to luring and fatally shooting David Dragna, 44, of Valinda at an apartment complex in the 14700 block of Prichard Street in La Puente on July 3, 2006, U.S. Department of Justice Thom Mrozek said in a written statement. “Garcia admitted that in 2006 he and two members of Puente 13 lured another gang member to an apartment complex, where Garcia executed the victim with a bullet to the head,” Mrozek said. Garcia carried out the killing on the orders of leaders of Puente 13, who accused Dragna of keeping extortion payments on drug proceeds, or “taxes,” intended for the Mexican Mafia, officials said. Dragna was a member of the Townsmen gang, which also operates in the Valinda Corridor in the central Can Gabriel Valley. At the time of Garcia’s plea deal, the prosecution and defense in the case agreed to recommend Garcia be sentenced to 18 to 24 years in prison. U.S. District Court Judge Michael W. Fitzgerald opted for the high end of the range, sentencing Garcia on Monday to 24 years behind bars, as well as eight years of supervised release upon the completion of his prison term. The two Puente 13 gang members who joined Garcia in the killing have since pleaded guilty to the slaying, Mrozek said. Angel “Smiley” Torres is serving a 15-and-a-half-year prison term, and Steven “Flaco” Nunez is serving a 10-year sentence. As part of the same investigation into Puente 13, which began in 2008, longtime gang leader Rafael “Cisco” Munoz-Gonzalez, 42, of La Puente and his brother, Cesar “Blanco” Munoz-Gonazalez of Rowland Heights, received life sentenced in federal prison in 2013 after being convicted at trial of violating the Racketeer Influence Corrupt Organizations Act, as well as committing violent crimes in aid of racketeering, engaging in a conspiracy to distribute methamphetamine, weapons charges and other offenses. The investigation into Puente 13 has resulted in four indictments and the convictions of about five-dozen gang members and associates, officials said. LA PUENTE >> A meeting previously planned by sheriff’s officials are to discuss La Puente’s gang injunction later this month has been cancelled. The meeting, which has been scheduled for Oct. 25 at the St. Louis of France Catholic Church, 13935 E. Temple Ave., will be rescheduled for sometime early next year, organizers said. At the annual meetings, sheriff’s officials, prosecutors and crime analysts meet with the community to discuss and answer questions regardingLa Puente’s gang injunction. In addition to La Puente, the injunction against the Puente 13 and Bassett Grande street gangs also covers portions of West Covina and nearby unincorporated county areas such as Valinda and Bassett. VALINDA >> A Valinda man died and a Rowland Heights woman suffered injuries in a two-vehicle crash on Valinda Avenue late Wednesday, California Highway Patrol officials said. 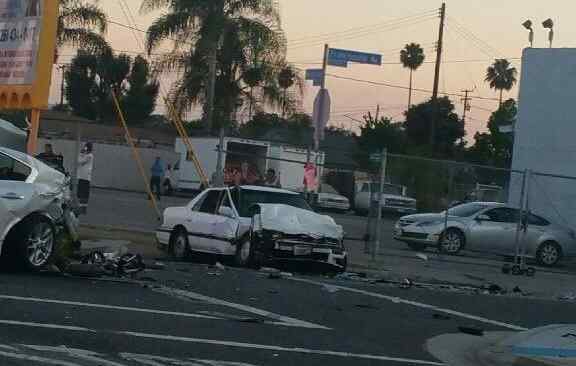 The crash was reported shortly after 7 p.m. on Valinda Avenue, south of Maplegrove Street, CHP Officer Michelle Bond of the CHP’s Traffic Management Center said. A 45-year-old Valinda man was driving a 2004 Chevrolet Silverado pickup truck north along Valinda Avenue when his truck veered into opposing traffic and struck a 2009 Toyota Venza being driven by a 35-year-old Rowland Heights woman, according to Sgt. M. Hammond of the CHP’s Baldwin Park area office. “(He) suddenly allowed the Chevrolet Silverado to cross over the solid double-yellow lines and travel into the southbound No. 1 lane,” the sergeant said. The driver of the Toyota veered to the right but was unable to avoid a collision, she said. The front of the truck struck the driver-side of the Toyota. Firefighters rushed the truck driver to a hospital but he succumbed to his injuries, officials said. His identity was not available. The woman at the wheel of the Toyota suffered injuries Hammond described as minor. Anyone with information is asked to contact Officer C. Jones at the CHP’s Baldwin Park area office at 626-338-1164.